Ordinarily, I’d be playing golf right now. 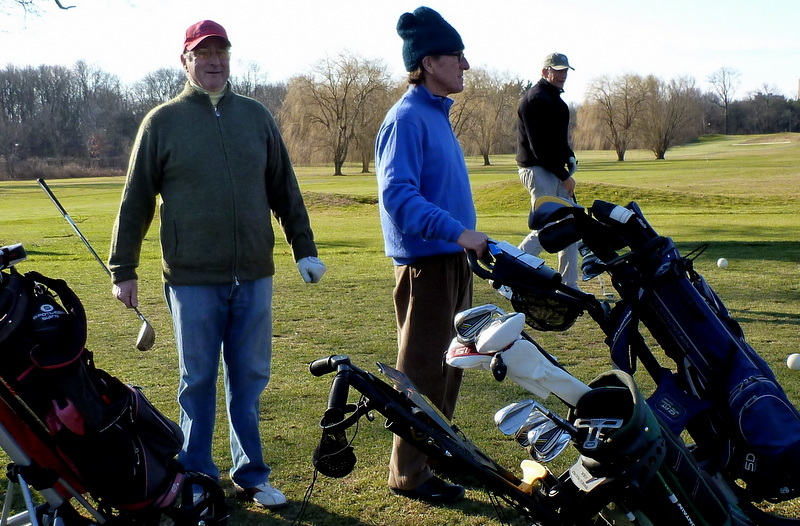 For many years, the Sunday Morning Group has managed to find snow-free fairways and greens somewhere within driving distance of home. 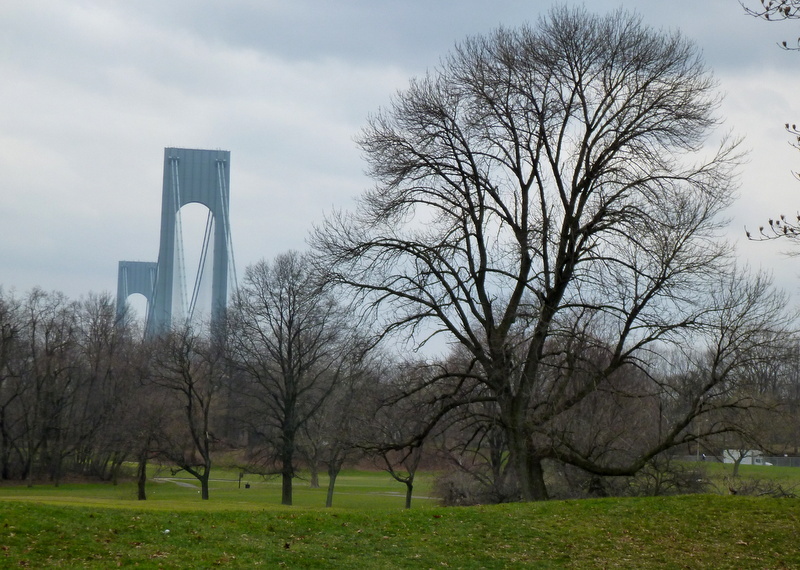 Last year, we played at Pelham Bay, in the Bronx (photo below); the year before that, we played at Fairchild Wheeler, in southern Connecticut (photo above, featuring Mike B.). But this morning there’s still snow on the ground all over the Northeast, and the temperature at my house when I got up was -2. There was some talk about simply showing up at Ray’s place, in Florida, and throwing ourselves on the mercy of him and his wife, but in the end we decided to stay home, for once, and dream about spring. 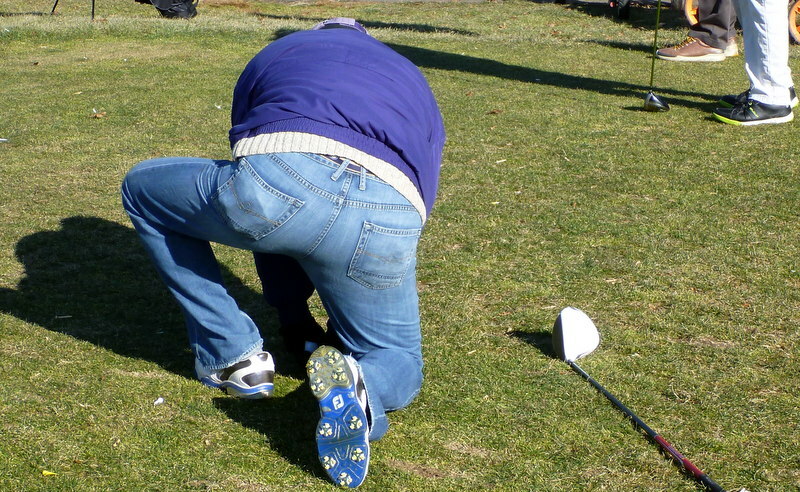 This entry was posted in Buddies Trips, Golf Courses, Hacker (real name), Sunday Morning Group, Weather by David Owen. Bookmark the permalink. 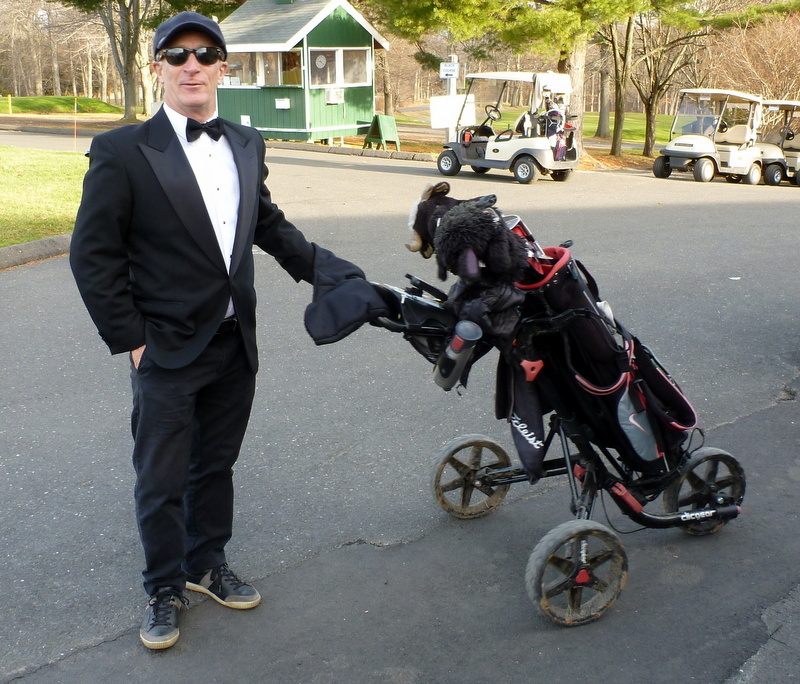 I remember playing on New Years Day 4 Years in a row at Shennecosset Golf Course in Groton CT. 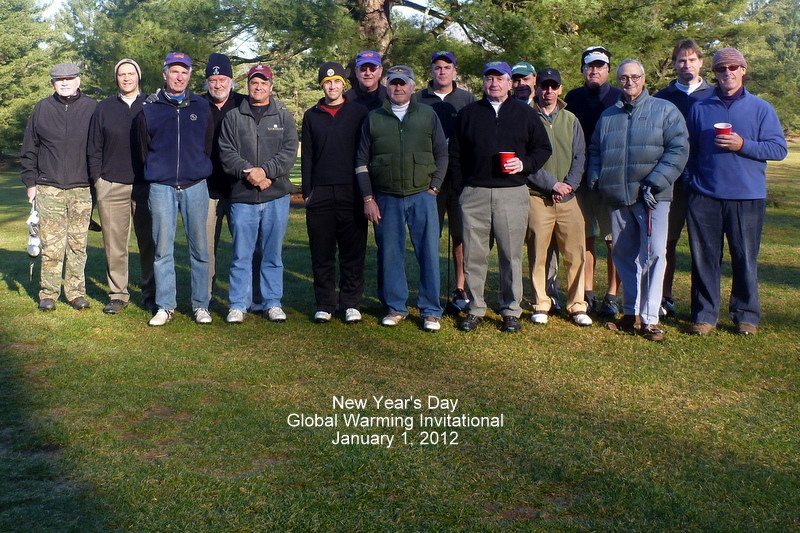 The place was jammed pack with guys from up north that were itching to play with their new golf toys! Met some good guys during those rounds. Hopefully we have a mid winter heat wave! 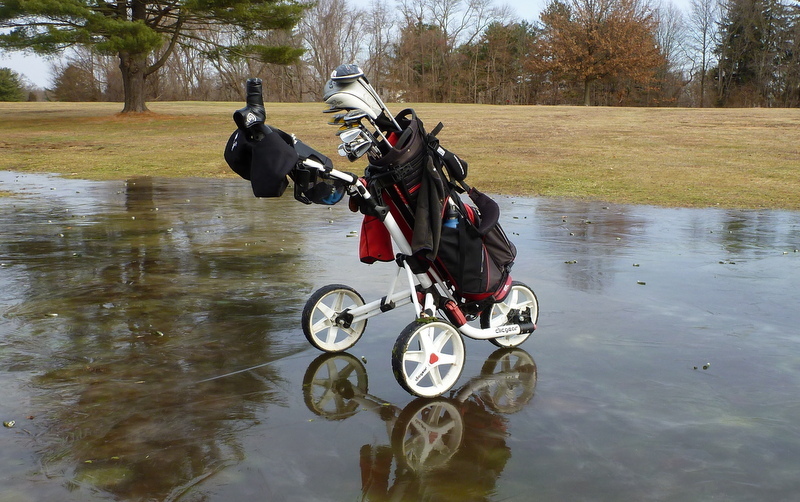 Sometimes you have to wave the white flag to Mother Nature. Happy New Year! Usually the Arctic Tour up here in Mass has a place to go: the Cape or RI. But we’ve been denied since Xmas. So we’ve had to resort to indoor golf. Counting down the days to our group trip to FL in a few weeks! 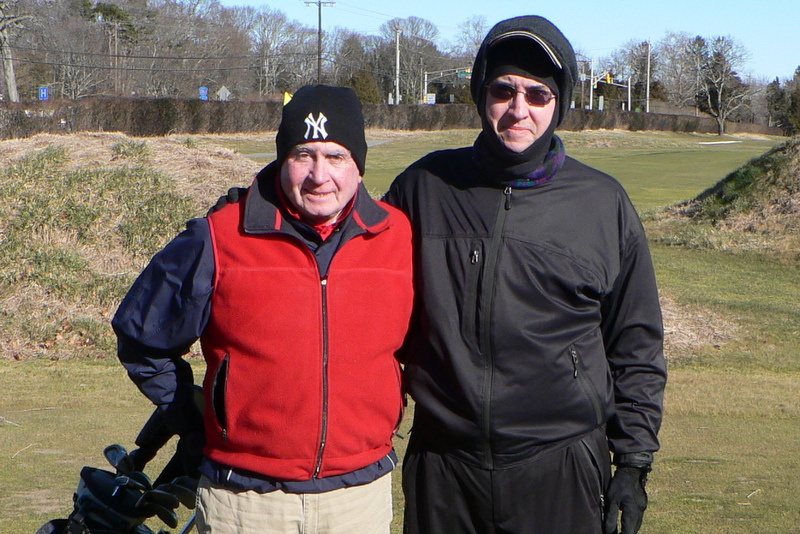 Favorite winter moment of 2017: scraping 5″ of snow off my car, driving 1.5 hours to Hyannis and playing in green, soft conditions. I am grateful for your humorous posts and for “The Ghost Course” which inspired me to go play it last year! I hear you. 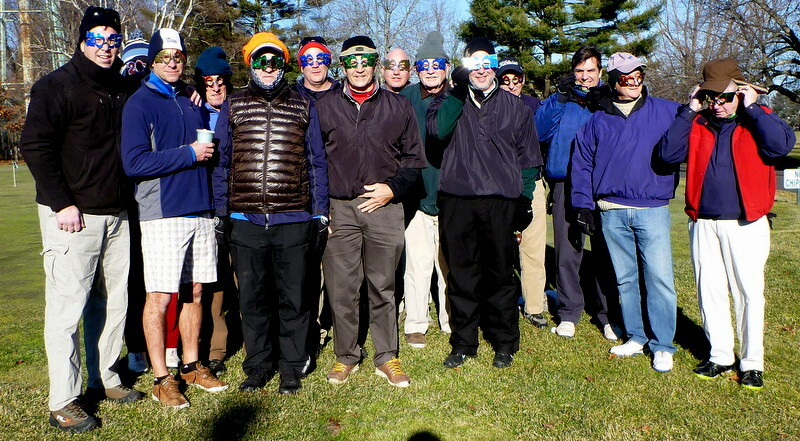 I had multiple options for a week of golf this week but I was forced to cancel all my plans as the average temperature is below freezing from RI to VA.
I’ve played in below-freezing weather (and in snow), but I draw the line at below-zero. For several days now, I’ve mostly just been sitting indoors and listening to my furnace. What kind of stories does your furnace tell? It’s been thirsty lately. Quite a few people around here actually ran out of oil last week, because delivery trucks couldn’t keep up with the demand. An oil truck showed up in my driveway at 11:30 p.m. on New Year’s Eve, but it turned out that the driver was looking for my neighbor. I finally got a delivery two days ago — and just in time, because I was pretty much down to sludge.